If you’re not a professional online marketer or a Web programmer — and most real estate agents are not — the term search engine optimization (SEO) is intimidating. You know it is really important to how your website attracts potential clients, but you may not know how to make that happen. Some of you find SEO so baffling that you think you should pay an expert to “fix” it. Or maybe you have employed a tech guru, only to discover that the results were disappointing. Like many things tech, SEO is mystifying jargon for an essentially simple goal: getting the Web search engines like Google to bring your website to the attention of buyers searching online for the properties and real estate services you offer. What brings buyers to your website is useful information — called “content” in tech jargon — the stuff that customers want to know about buying property in the state, province or region you represent. For example, the schools, the property taxes, the median home prices, landmarks, municipal government and services, the crime stats, the climate, listings, sales and buying tips, home design trends, qualifying for a mortgage, title insurance, etc. While the topics seem general, the reality is that all can take on a local point of view that you provide. That, in a nutshell, is how you turn basic information into unique content, i.e., the foundation of your SEO strategy. Once you’ve got that done, the rest is easy. SEO matters for a lot of reasons. According to a recent National Association of Realtors study, 90 percent of homebuyers search online during the homebuying process. 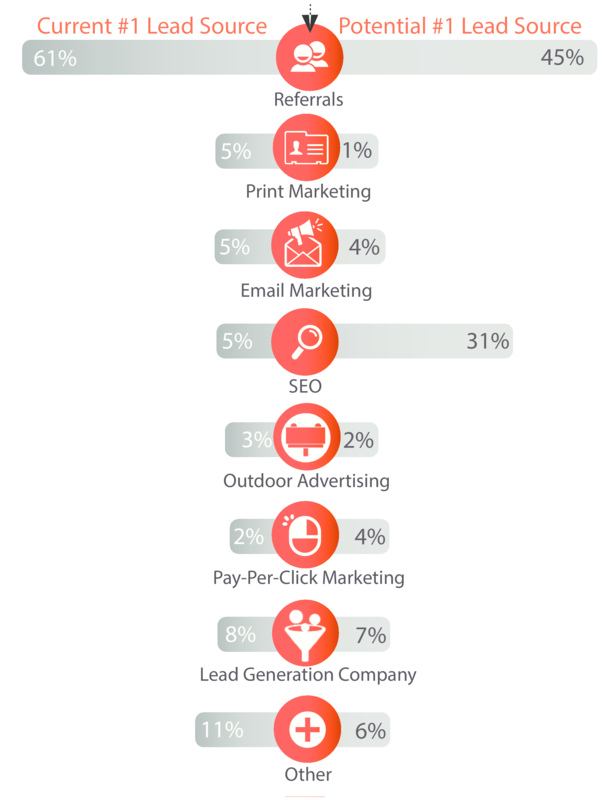 Another study, by content distributor Outbrain, shows that search is the No. 1 driver of tra­ffic to websites — beating social media by more than 300 percent. Furthermore, 75 percent of users never scroll past the ­first page of search results. Realtors we surveyed understand the importance of SEO, yet they haven’t been able to turn it into a major source of leads. An eye-opening finding was that 9 out of 10 Realtors believe they should spend more time on SEO, yet 85 percent want to spend fewer than 10 hours a month, and 80 percent want to spend less than $500/year. 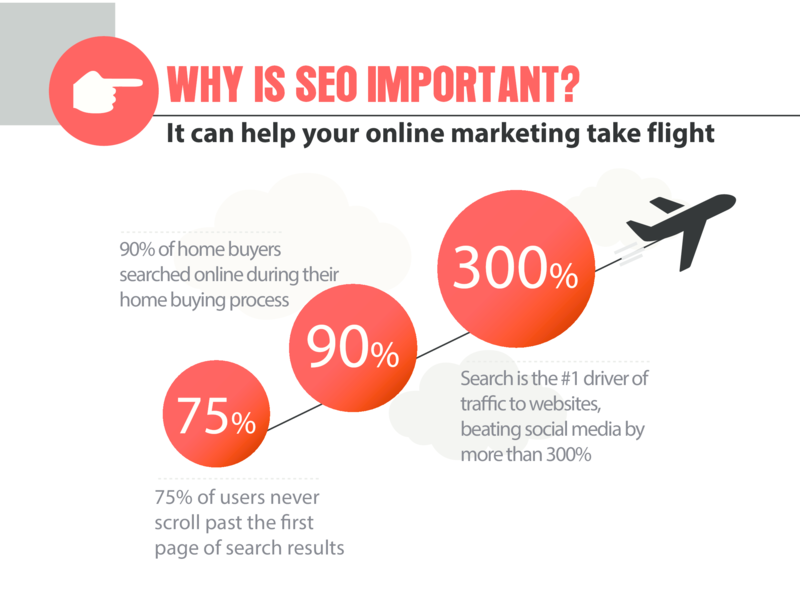 The fact that there is a lack of time and money being put into SEO also reflects in how Realtors currently get most of their leads. While only 5 percent of Realtors surveyed identified SEO as their top source of leads, 31 percent believe that SEO has the potential to be their best lead source. Bottom line? Realtors can see the gold mine but they haven’t started mining. In Part 2 of this series, we’ll take a look at what SEO strategies Realtors typically use now and dig more into figuring out what is stopping them from taking full advantage of SEO as a powerful source of leads. 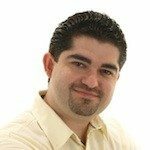 Peyman Aleagha is CEO of WebsiteBox, a Toronto-based company that offers real estate websites and tools.